This document describes the current observational capabilities and possible observing time of the East Asian VLBI Network (EAVN), and is a supplementary document to the KaVA Status Report . 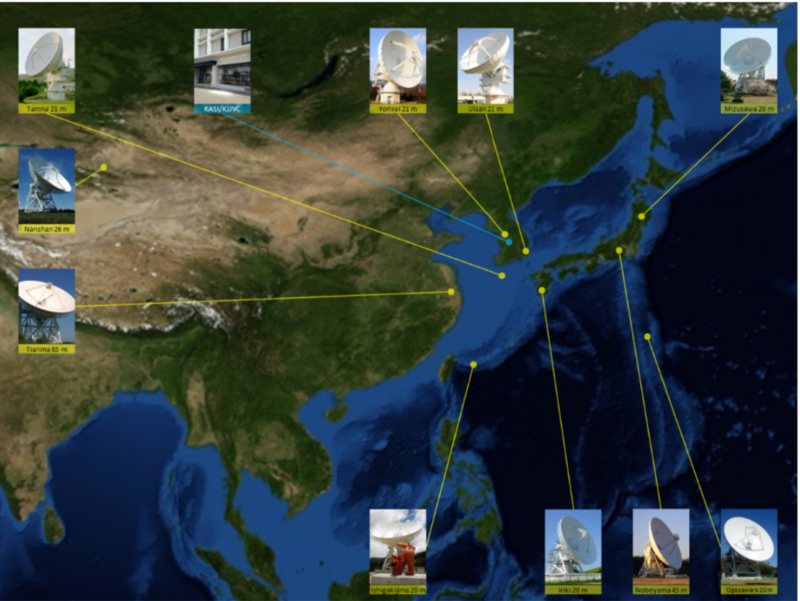 EAVN is the international collaborative VLBI array operated by Korea Astronomy and Space Science Institute (KASI), National Astronomical Observatory of Japan (NAOJ), Shanghai Astronomical Observatory (SHAO; China), and Xinjiang Astronomical Observatory (XAO; China). EAVN invites proposals for open-use observations to be carried out from January 15, 2019 to June 15, 2019 (2019A semester). The total observing time of 100 hours is provided for EAVN open-use operation to proposers, while the available machine time of each telescope is different between each other. Refer to Section 3 for more details. This status report mainly summarizes general information of EAVN, brief summary and the performance of Nobeyama 45-m, Tianma 65-m, and Nanshan 26-m telescopes, and how to prepare and submit proposals for EAVN. Refer to the KaVA Status Report , as well as the KaVA webpage (http://kava.kasi.re.kr/), for more details about KaVA.